I consider myself a very lucky woman. I’m surrounded by loving friends and family; I have ready access to good, clean food; I’m studying things that move and inspire me and I get paid to do things I love. 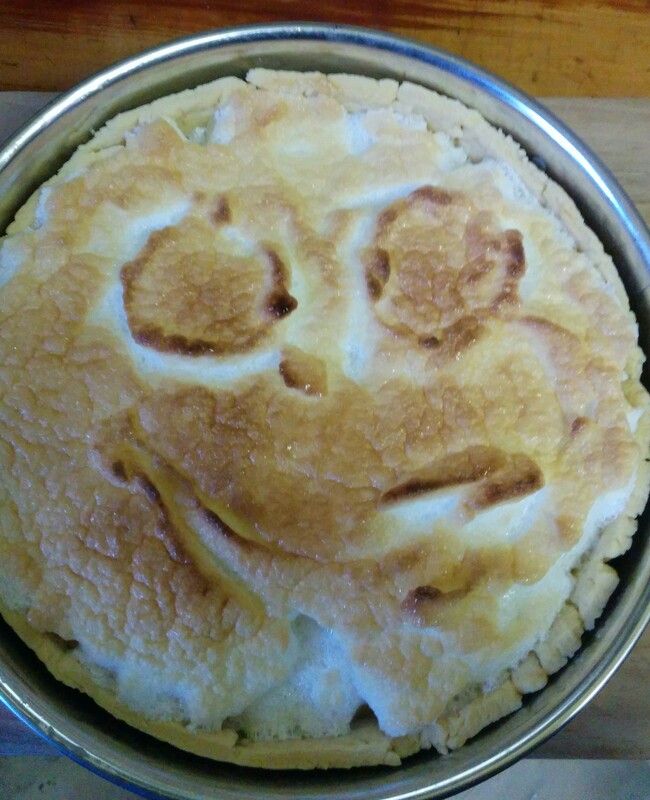 This was driven home yesterday when He-Who-Must-Not-Be-Listened-To made his first ever Lemon Meringue Pie. I made the pie crust and stepped him through the process of separating eggs (something he’d never done before), making the curd, getting the meringue the right consistency and so on. He is a very accomplished cook but hasn’t much experience with baking. We used a recipe from and old CWA (Country Women’s Association) cookbook and reduced the sugar to suit our tastes. It was good for me as I realised that as bullet proof as the CWA recipes are, there’s a lot of assumed knowledge in them about technique. The result was delicious, though we’ll reduce the sugar even further next time. This morning I had a brainwave in the garden about my uni assignment – that I confess I haven’t fully written up yet but I’ll get there! And there were two delightful surprises that any gardener will recognise and understand. Firstly, a well established finger eggplant in the greenhouse I thought was beyond hope has started shooting again. 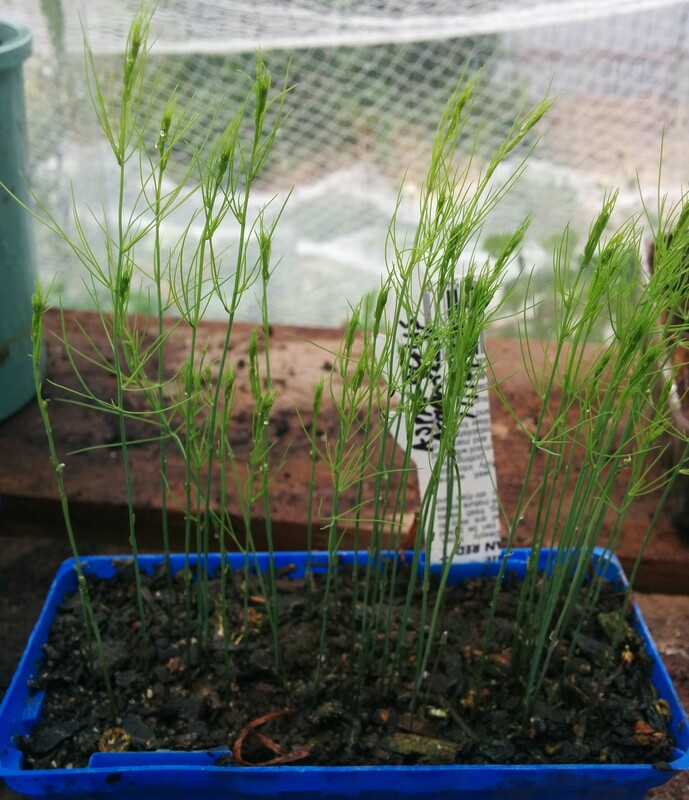 I grew three from seed about four years ago and because of the unpredictable weather we can get in southern Tasmania, I kept them in the greenhouse. All three overwintered quite well the first year but I lost two this last, very hard winter. At least there’s one left to gather seed from at the end of summer. Secondly, and to my absolute delight, I discovered a punnet of very healthy asparagus seedlings at the back of a tray. Asparagus is probably my favourite vegetable, but I really can’t come at the shop bought article. It’s one of those things I only ever want to eat fresh from my own garden. 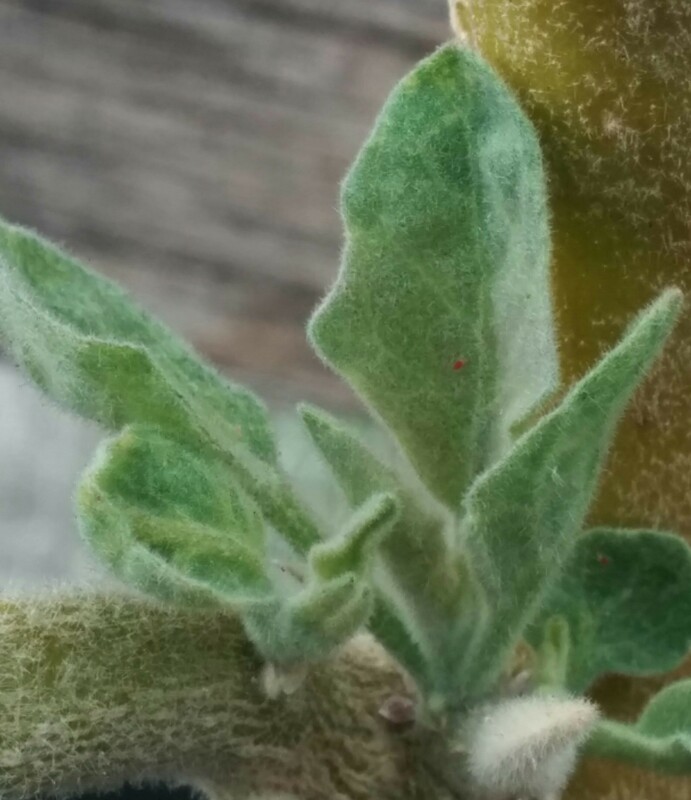 It’s a slow process growing from seed, the viability is usually best in the first year and it takes 2-3 years to get plants to maturity. Then, you have asparagus for years! December. The bed will be very heavily dug over and filled with as much old chicken poo and rabbit straw as I can lay my hands on. At the moment it’s full of potatoes that are in full flower and due to be dug in the next few weeks. Potatoes grow very well here and have been my “go to” crop for reclaiming lawn areas ever since I moved in but they do strip the soil of nutrients and asparagus are notoriously hungry feeders! What are you passionate about? Let me know in the comments – I love to hear from you all!